For the CrossFit athlete, Olympic weightlifter, and fitness enthusiast, bumper plates offer a safer and more durable option for your home gym or facility. Unlike metal plates, you can drop them from overhead or the front rack position without damaging the floor, barbell, or plates. Power cleans, deadlifts, and snatches are just a few of the lifts that become more enjoyable with a good set of bumpers. In this article, you’ll learn what to look for when purchasing bumper plates and the benefits of training with bumpers instead of metal plates. Also check out the 4 reviews for the top bumper plates available for home gyms and fitness facilities. Bumper plates, also called “bumpers”, are Olympic sized weighted plates made with thick rubber. The material of the plate makes dropping and bouncing your barbell on the floor safe. Durability- Read reviews and compare materials. If they don’t rate well or wear down quickly, get a different set. 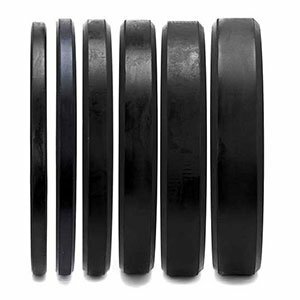 Density– Also known as the “durometer rating”, this measures the density of the rubber and how it will come in contact with the floor. The more expensive sets will be denser. Warranty- How long does the company guarantee the equipment for? Can you get a new set if yours don’t hold up? They should come with at least a one year warranty. If you find a set of bumper plates “secondhand”, ask the previous owner how long they have had them and how much they were used. For safety reasons, you don’t want a set that’s too worn down. You can drop the bar- This is the obvious and biggest benefit. They can be dropped and bounced off the floor, making CrossFit workouts, Olympic lifts, and powerlifts all safer and easier to perform. Noise level– Bumpers are quieter when they come in contact with the floor. This benefits home gym owners and facility owners alike. Less movement on the bar– Bumpers tend to hold snug and rattle around less on a barbell better than metal plates do. You can stack more weight on– The biggest knock on bumper plates is that strong athletes can’t put enough weight on the bar. A typical Olympic-sized bar can hold 4-45 lb bumper plates on each end, maxing the bar out at 405 lbs. For some lifts, this is fine. But if you are a powerlifter, you may want to have some metal plates on hand, too. Easier to buy second hand– If you’re in the market for plates for a home gym, check Craigslist and other similar sites. Very often, someone getting rid of metal plates, which will save you a ton of money. Cheaper- Unless you buy them used, you will likely pay less for a set of metal plates. The featured bumper plates used at the CrossFit Games, Rogue makes a sleek design that is battle tested and proven to hold up. 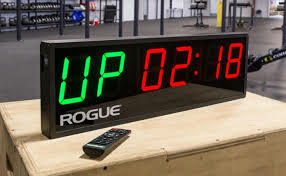 Visit your local CrossFit affiliate and you’ll probably find sets of these in their gym. For what it’s worth, Rogue’s set offers a score an 88 on the durometer scale. 70 or higher is usually considered very good. For 160lbs of plates, you’ll pay $275. OneFitWonder makes their set out of “virgin rubber”, known to score well in the 2 categories we looked at earlier- durability and density. Customer reviews boast about the customer service if something goes wrong, so at least this set checks off the “find a set with a good warranty” box, too. Their 160lb set is nearly identical in price to Rogue’s variation. 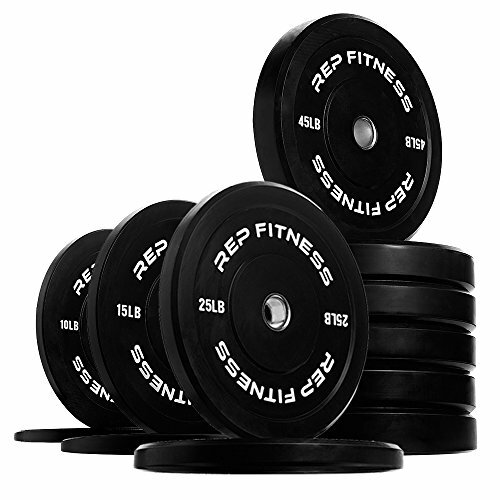 Rep Fitness boasts that the core concept of their design- inserting stainless steel molded hooks on the inside- blows their competitors out of the water in terms of durability. While a few customers commented that the set smells strongly of rubber, generally speaking, reviews are solid and people boast about how they hold up. Their 160lb set will cost you slightly more than Rogue and OneFit Wonder. 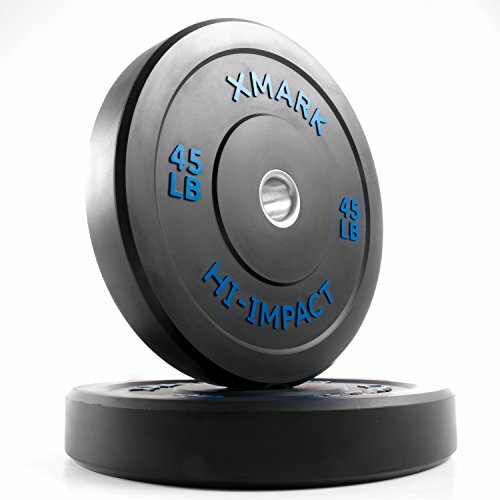 XMark is newer on the scene than the other options, but their plates grade as durable and dense like the others. This particular bumper plate is designed to have a particularly lower bounce, which will keep you and the floor safe when training. Bumper plates make the training experience safer and make lifts like deadlifts, power cleans and snatches more enjoyable. Durability, density (durometer rating) and a good warranty are 3 things to look for. They should be covered for at least a year after purchase. The 4 sets we reviewed all rated high, which means there are a lot of good, safe options available to you. The right set will be a great addition to your box or home gym. Good luck!